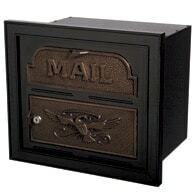 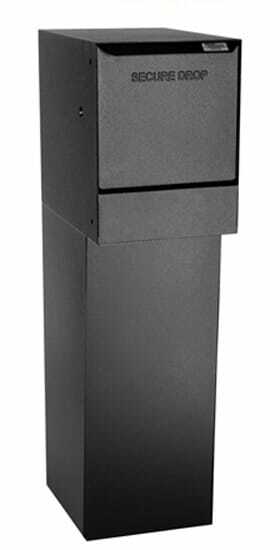 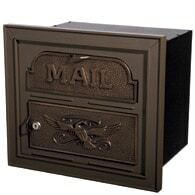 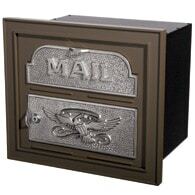 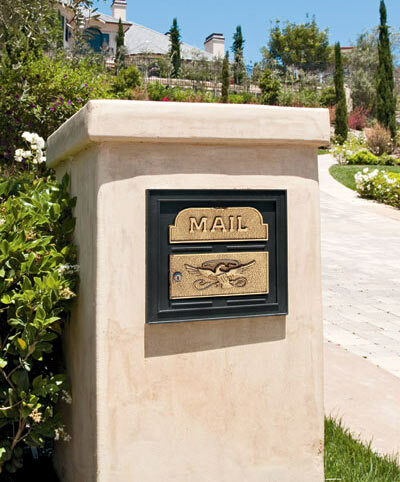 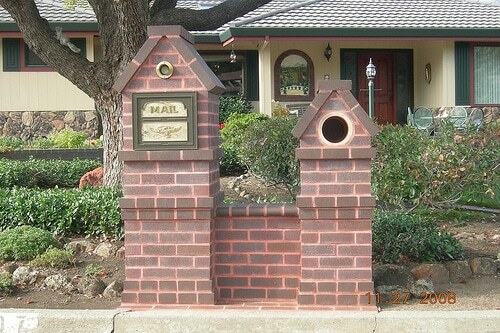 Classic Faceplate Locking Wall Mount Mailboxes lead the way in curb side distinction and design. 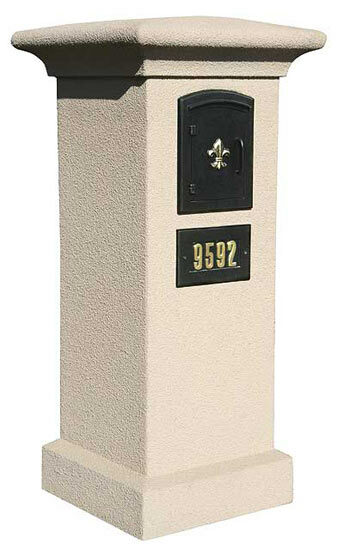 US patented design can be flush mounted into a home’s exterior or inset into a pillar or column for a stately look. 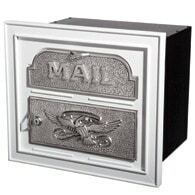 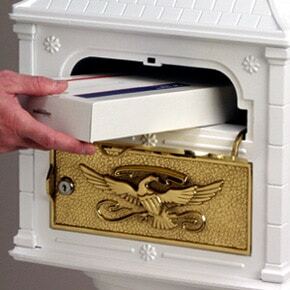 Wall mount mailbox is made from premium quality materials and uses 16 different die cast aluminum castings in the design. Solid brass accents come in polished brass, satin nickel and antique bronze finishes. The top incoming MAIL door has a hinged bottom and opens like an oven door; classic eagle motif accents the lockable bottom access door which opens sideways. 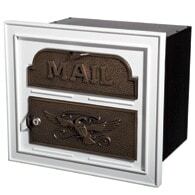 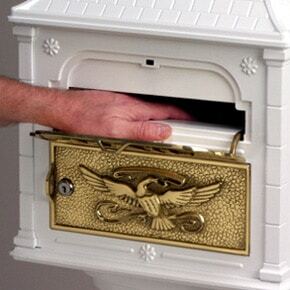 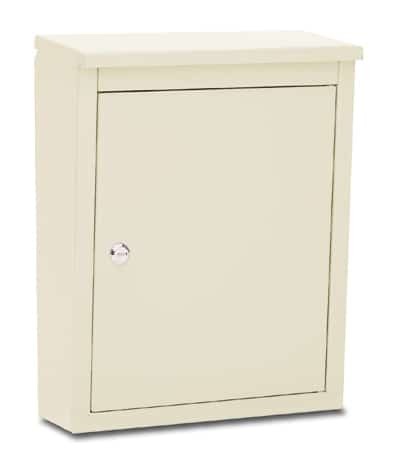 Lockable bottom access door of wall mount mailbox comes with 2 keys. Door can be kept unlocked; a magnetic catch keeps it closed. 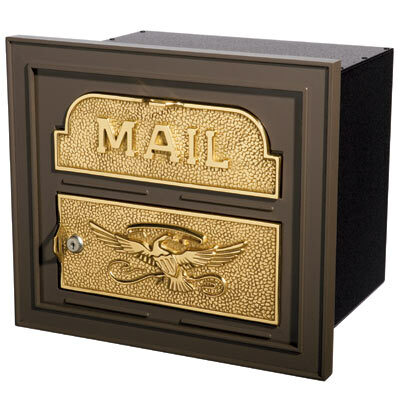 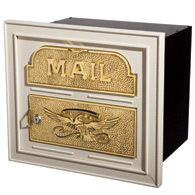 Powder coated for durability, these classic faceplate wall mount mailboxes make a stunning statement in decorative colors, ranging from almond, black, white, and metallic bronze. 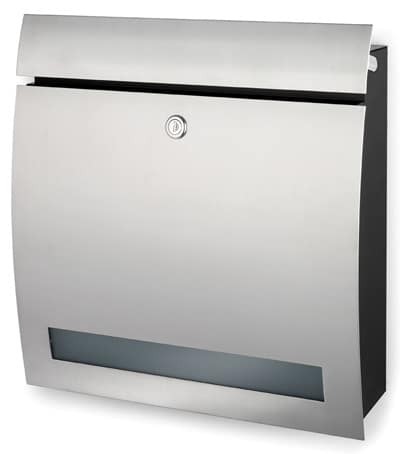 Locking Access Door 4" 10"
Aluminum Can 11.375" 13.125" 10"